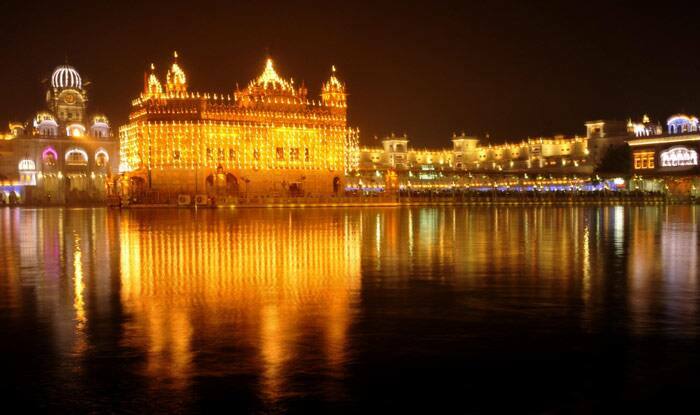 Guru Nanak Jayanti or Gurpurab is one of the holiest festivals celebrated by the Sikh community across the world. The day marks the birth of Guru Nanak, the first Sikh Guru who is the founder of Sikhism. Born on April 15, 1469, in Rai-Bhoi-di Talwandi (now in Pakistan; Nankana Sahib), Guru Nanak is known as one of the ‘greatest religious innovators of all times’. He traveled extensively to spread the message of peace and teaching of God. According to beliefs, almighty dwells in every one of his creations and constitutes the eternal truth. He had set up various spiritual social and political platforms based on equality, goodness, and virtue. Guru Dev’s teachings are registered in the form of 974 hymns in the holy texts of the Guru Granth Sahib. According to the beliefs of Sikh religion, it is believed that the spirit of Nanak Dev descended upon each of the nine subsequent Gurus. According to the lunar calendar, Guru Nanak’s birthday is celebrated on full moon day of Kartik month or Kartik Poornima. This year, followers of Guru Nanak will celebrate the 549th Prakash Parv or Guru Nanak Jayanti on November 4. The announcement about the event was made through a procession called Nagar Kirtan taken out on November 1 from the gurdwara at Budhaji Nagar to the one at Ramdaspeth. Baba Guru Nanak Dev, the first guru of Sikhs, holds the highest position among the 10 gurus worshipped by the community. Guru Nanak was the first of the 10 Sikh Gurus and was born in 1469. He married at the age of 19 and had two sons, however, due to his lack of interest in worldly affairs, he drifted towards the spiritual world and at the age of 30, he visited various holy places to gain knowledge. He also tried different professions like agriculture, cattle-tending, and shop-keeping but failed to succeed. As per the Sikh traditions, the early years of Nanak Dev’s life were marked with various events that portrayed that he has been marked by divine grace. The festivities on Guru Nanak Jayanti begins two days prior to the main day with the continuous reading of the holy book, Guru Granth Sahib, in the Gurudwaras for 48 hours and it is called Akhand Path. Nagarkirtan, a procession is organized on the day prior to the Jayanti. Carrying the Palanquin of the holy book Guru Granth Sahib and the Nishan Sahib, which is the Sikh flag, the Panj Pyaras lead this procession. Devotees sing devotional songs and hymns from Sikh scriptures during the grand procession. The celebration begins as early as 4 am with Prabhat Pheris, the morning procession on Guru Nanak Jayanti. The processions which start from Gurudwaras are decorated with lights and flowers. This is followed by a special community lunch called as the Langar. People irrespective of class, caste or creed can attend langar. The celebrations end with singing Gurbani at about 2 am. Grand celebrations can be witnessed in Chandigarh, Haryana, and Punjab.